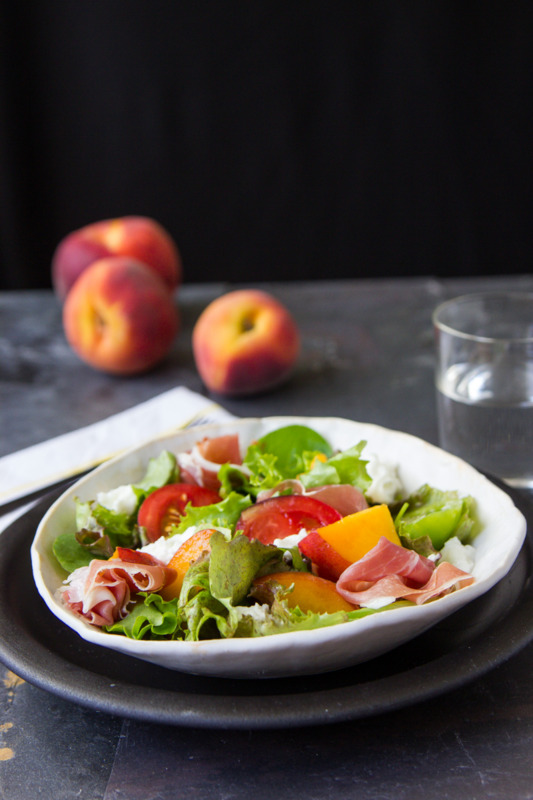 Juicy peaches, salty prosciutto, creamy mozzarella, heirloom tomatoes, and tender greens, make up this salad that has become a summer favorite of mine. I had it twice yesterday, for lunch and again at dinner. It's that good! 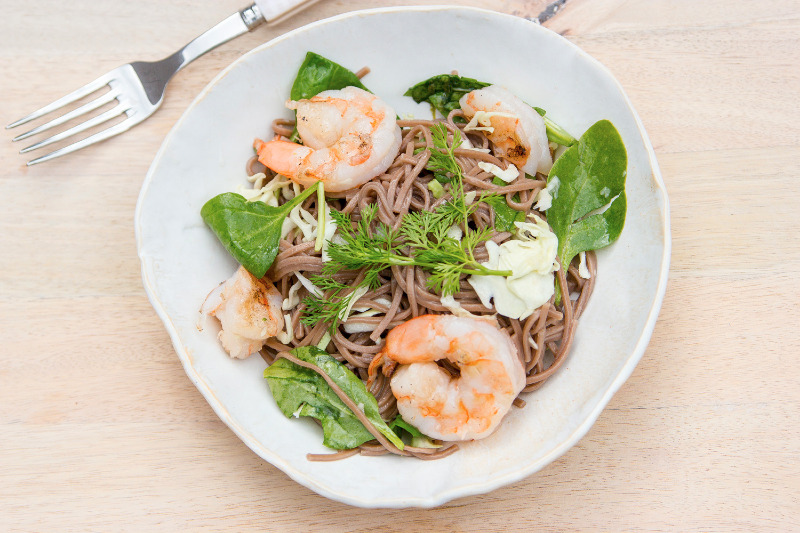 Give it a try while flavorful summer produce is still around. I think it will end up on your list of favorites too!